It was just past midnight. I couldn't sleep. I stumbled into the kitchen and pulled open the fridge door, the blinding glare of the yellow light sliding across my face, my eyes squinting in the glow. Up and down I scanned the fridge, as if I didn't already know what was in there. As if I didn't already know each and every nook and cranny, every item hidden behind other items, how long that bottle of kombucha had been open, and how many lemons lay in the fruit bin. I knew all too well that what I craved was nowhere to be found. "Wouldn't it be nice if..." I though to myself. Wouldn't it be nice. 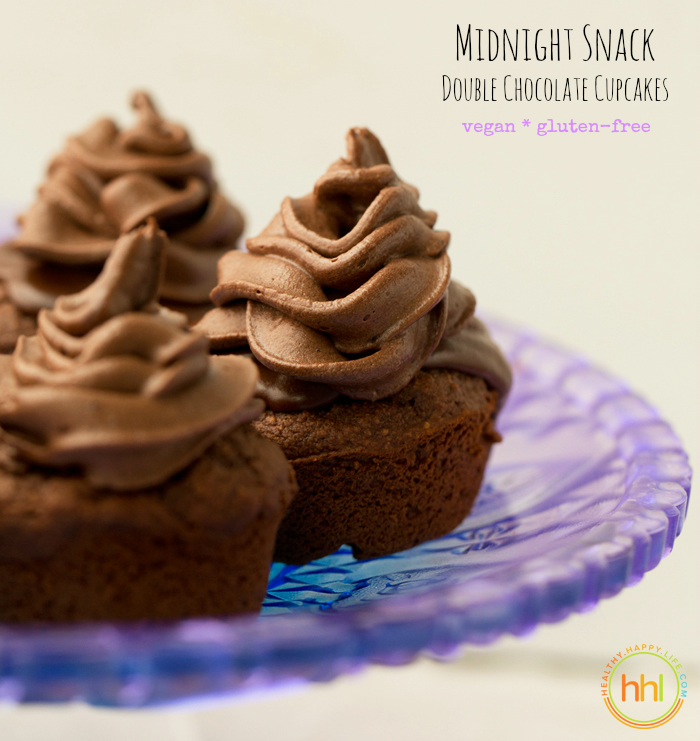 If there had been a tall, glittering platter of these Midnight Snack Double Chocolate Vegan Cupcakes. I would have grabbed just one and stood there in the kitchen nibbling its rich chocolate layers, the accents of vanilla, coconut and hazelnut infusing my groggy mind with sweet dreamland thoughts. And back to bed I would have stumbled, a happy happy girl. Well, at least I will be prepared tonight if the midnight snack, insomnia munchies strike again! Be prepared guys, be prepared. And you could even ring in the New Year with a chocolate cupcake toast! Brilliant idea Kathy, brilliant idea. Get it..
Stop to gawk at the swirls.. 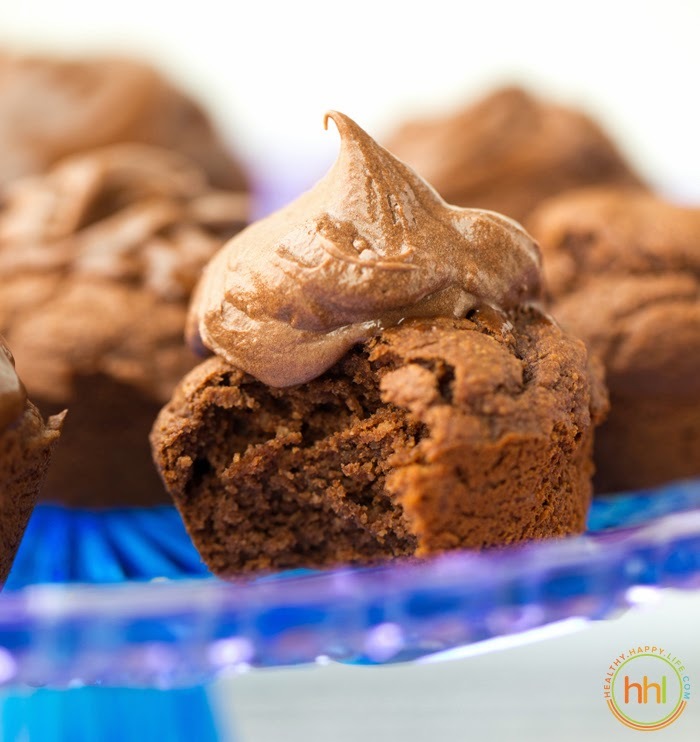 These fluffy-amazing vegan cupcakes are gluten free and super guilt-free if you do not eat too much frosting :) The cupcake base is pretty much good-for-you fare with its coconut-hazelnut-oat flour base, zero added oil and low sugar. Dreamboat cupcakes with or without the frosting. 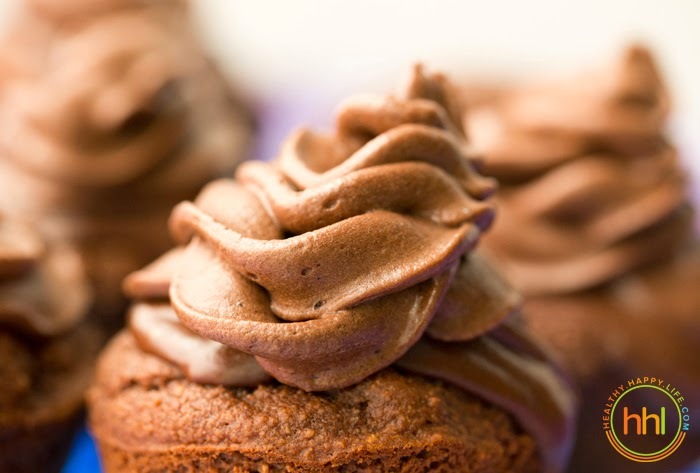 The frosting is a super silky, satin-y, creamy vegan blend of organic confectioners sugar, vegan cream cheese, coconut oil, rich cocoa powder and a bit of vegan butter. Whip these babies up and have a very Sweet Dreams kind of slumber. Why are these the perfect mid-sleep indulgence? A few pondering questions answered..
* why not layer cake? Cake has no serving size, so you may end up gobbling down more than you intended amidst your groggy sleepy state. * why chocolate? Why not? It is chocolate. Ultimate swoon factor. I think the calming happy bliss will override any "caffeine jitters" from the chocolate. At least for me anyways. * why gluten-free? Again, why not! These fluffy little cupcakes are everything their big brother gluten-containing cupcakes are. But ps. gluten-containing flour can be subbed for the rolled oat flour if needed. Fluffy-amazing vegan cupcakes made using oats, coconut, hazelnuts, cocoa and love. Chocolate frosting on top. Gluten-free too! 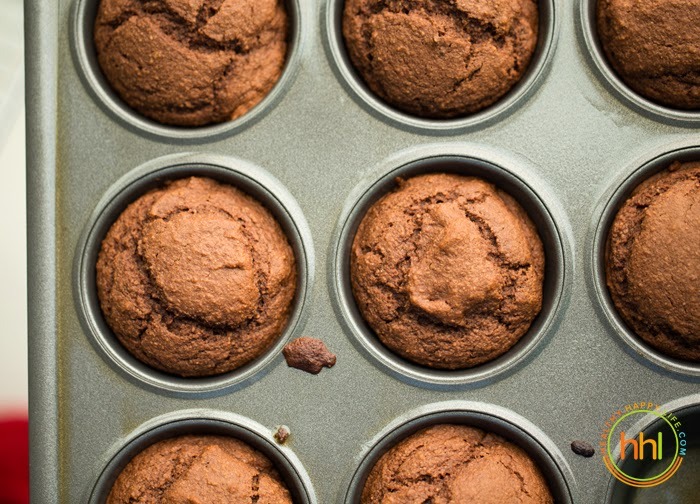 Preheat oven to 375 degrees and grease a muffin tin with coconut oil or cooking spray or cupcake liners. In a food processor or Vitamix, add the oats, coconut and hazelnuts. Process until fine - into a flour. Sift this mixture or use a spoon to break apart any clumps. Pour mixture into a large mixing bowl. To the oat-nut-coconut flour add the remaining dry ingredients and stir. In the same blender container, add all the liquid ingredients and blend until smooth. Pour the liquid mixture into the dry bowl. Then using a hand mixer, whip until silky and fluffy and any lumps are smoothed out. Scoop batter into muffin tin then bake cupcakes at 375 degrees for 15-18 minutes. 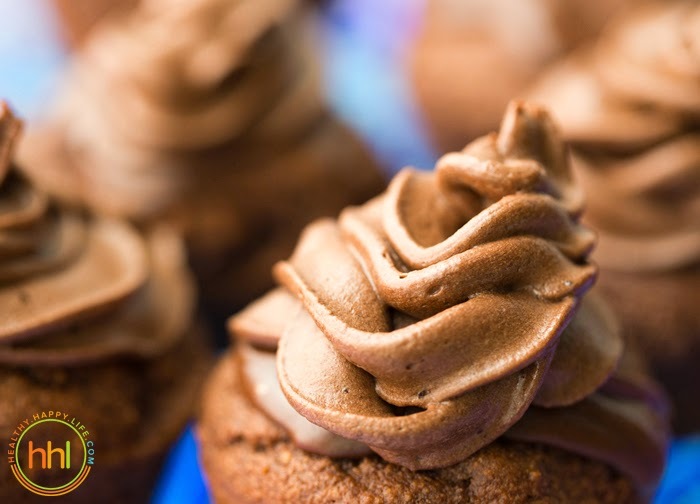 While the cupcakes are baking, prepare the frosting by adding all the ingredients except the water and cream cheese to a large mixing bowl (the same bowl can be used). 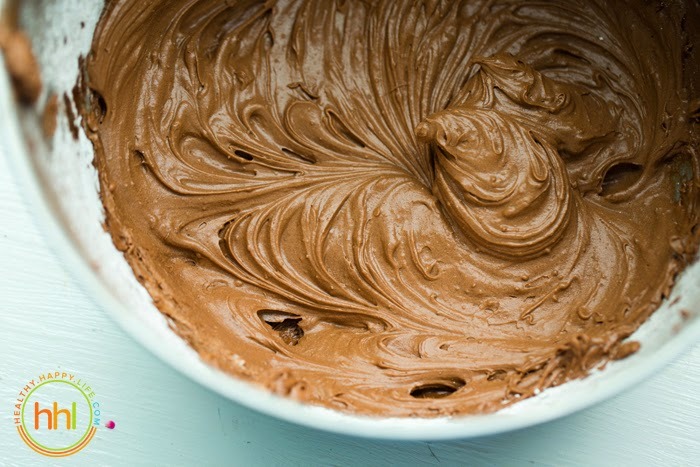 Using your hand mixer, beat the frosting which will soften the coconut oil and vegan butter a bit. Then add the water one teaspoon at a time until the frosting is "wet" enough to whip. The frosting will still be on the stiff side though. Lastly, add the vegan cream cheese, and whip the frosting for another minute using your hand mixer. Do not overwhip, as the frosting will start to "melt" and lose its fluffiness. Place frosting bowl in the fridge to chill. 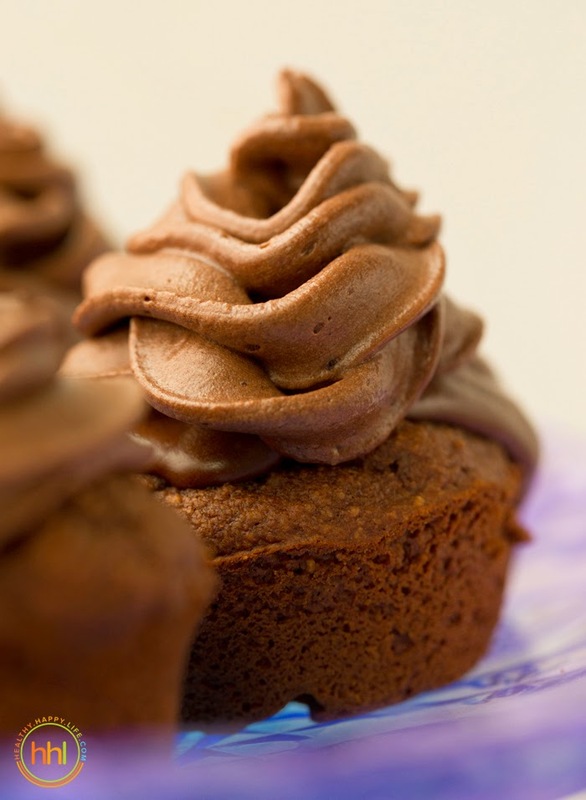 Remove cupcakes from the tin when they are done baking, and cool on a cooling rack. 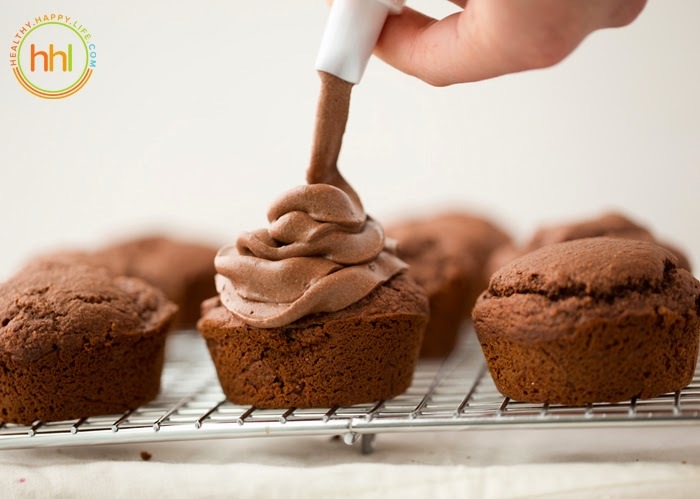 When cupcakes are completely cooled, you can pull out the frosting and frost with a spoon of pastry bag. Store frosted cupcakes in the fridge until ready to serve. Cupcakes are delicious served at room temperature, slightly warm and melty or straight from the fridge!